Dialogue is an important part of great novels. Why? Because dialogue injects a feeling of reality. The fact is, most people talk. Some people talk a lot. So in order to make our stories realistic and natural, we need to show people talking. Yet, dialogue sequences that are badly structured or poorly conceived can be confusing or even make your story unrealistic to the point of absurdity. In order to help make sure your story dialogue sparkles, the next few tip posts will cover dialogue mechanics. First, let’s look at how to structure a series of dialogue paragraphs. #1. Every time the speaker changes, break to a new paragraph. I’m sure the vast majority of you already know this, but I receive a surprising number of stories that have multiple people speaking in the same paragraph. #2. 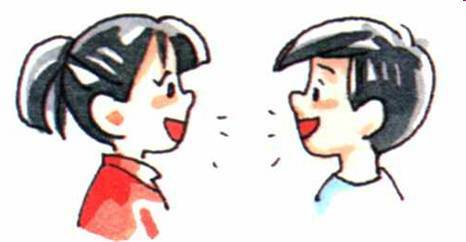 When a particular character’s actions and dialogue occur one after the other, if at all possible, keep the action and dialogue in the same paragraph. In dialogue, I like to think of paragraphs as belonging to the speaking character. The paragraph in which a character speaks will also contain that character’s actions when the spoken words and action occur in sequence. “Of course.” He glanced both ways again but said nothing more. Notice that each paragraph includes a character’s words and actions. The first paragraph belongs to the “I” character (Phoenix from Reapers). He nods and then speaks. The second paragraph belongs to the responding character (Mex). He speaks, glances from side to side, and speaks again. The third paragraph belongs to Phoenix again. He speaks, stretches out the word, and speaks again. And so on. This is not a hard-and-fast rule. Sometimes the actions of others might be interspersed within a character’s paragraph. This is merely a guideline to help writers remember a structure that is easy for readers to follow. #3. If you begin a paragraph with dialogue and want to use a speaker tag to indicate who is speaking (like “he said”), insert the tag at the first natural break in speech. “Without a doubt, you are the most gifted candidate to apply in all the years I have been a part of this organization. You have passion, a proven record, and perseverance. If you are accepted, and if you decide to join us, you will certainly go far. Nothing can stop you,” Jim said. #4. Sometimes a character speaks a long time, adds various actions, and continues speaking, all without significant interruption. If you put all of these into one paragraph, the paragraph can become bloated and overly long. Find a way to break up the paragraph. This is the published version, but now I would probably break it up further. Shorter paragraphs are easier to digest. In my next tip, I will discuss speaker tags and dialogue beats. Great refresher on the mechanics of dialogue. 🙂 I’m sure many will find this helpful. Mr. Davis, is there ever a time you should split up a characters action and the following quotation. Especially if there are several sentences devoted to that action? Thanks for your tips! Yes, you can if the action warrants it. Feel free to post an example that you’re wondering about. A little bit after supper, Ben pealed himself away from the fire and looked for his friends. They were by themselves around the last campfire. Ben strolled over and took a seat next to John. He whispered. My first question is who is whispering? That’s not clear from the text. The closest antecedent for “he” in “he whispered” is John. Yeah, Mr. Davis is right; the “he whispered” has to stay with the dialogue, although you could probably get away with making the paragraph break at “he whispered” and making it and the dialogue one paragraph. Typically, though I’d only suggest doing that if you’ve got more than the two sentences preceding going on. “A little bit after supper, dishes cleared and siblings shooed away to bed, Ben peeled himself away from his fire [which, you probably do need the pronoun change, to specify that there’s more than one campfire, just fyi]. His friends would be somewhere among the clusters of people huddled around scattered orange-red flames with smoke rising to the sky. A few sang; a few argued. Somewhere he heard a harmonica and the drawling voice of a watchman singing. At last, though, he found his buddies, alone by the very last campfire. It’s essentially condensing action or movement or transition, then the paragraph break signals that we’re going to start the scene, sort of like watching stage crew change things around before the light goes back on and the actors begin again. Kaci’s solution is a good one. Thank you. You are in the drawing. Cat, you are the winner of the contest. Please email your mailing address to me – bryan (at) daviscrossing (dot) com. Would you like to be entered in the contest?